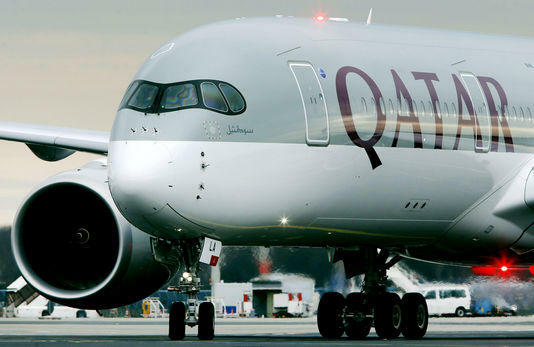 Qatar Airways relaxes its policy over pregnancies and marriages of its Air Hostesses. This is a "first victory" for the International Transport Workers Federation (ITF). Wednesday, August 26, The Airline announced it had terminated hostesses severance clauses of the pregnant air hostesses. . Under the new provisions, they will be offered a job as a temporary substitution in ground. "The Airline was forced to act but it is a great achievement," said ITF President Paddy Crumlin. His organization had seized in 2014 the International Labour Organisation (ILO) to denounce controversial clauses in contracts of the Airline providing for the automatic dismissal of pregnant air hostesses. In June, the ILO had found these discriminatory practices and ordered the company to stop it. However, Qatar Airways relaxes its policy over this matter. "Much remains to be done "
The ITF , however, reminded that "much remains to be done "
"We hope , as the company 's staff , which management will now address what many workers describe as the" climate of fear " in the company. " Another clause denounced by the ILO, which prohibited employees to marry, has also been removed . They can get married , but need to ask permission of the management of the Airline. "Our policies have evolved because of the growth of activity of our company ," said a spokesman , saying that these changes were not the result of a conviction for discrimination by the ILO in June. Khaled Al-Asaad, ISIS killed the archaeologist !